Q: When will a new CEO and CFO be appointed? A: We can only say that we have promising candidates and an offer has been officially tendered to our top pick. Both sides are in negotiations at the moment, and this is something we greatly look forward to. Q: Can you elaborate on what can be expected with the Absolute Comics Group project and when it will all happen in an appreciable manner? A: We are well underway with the imprint as evidenced by the recent releases. It was a major component and reason for being part of MegaCon Orlando. Conventions will also play a big role in the promotion and content acquisition of this and all of our platforms such as Powfolio. 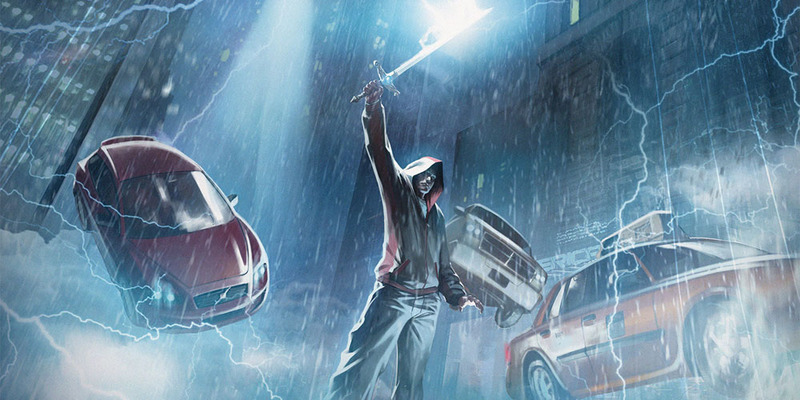 Q: Will Absolute Comics Group be tied in anyway with Powfolio? A: As we stated in the release, we will include Absolute in all of our channels. Digital, Web, print, and subscription box. Q: Where will the money come from to fund the Absolute Comics Group Project and any other future projects going forward? A: Part of the costs were included in the financing, some of the assets already existed, other costs will be covered by sales, and some of the creators will cover their own costs as part of their deals. Q: Will Red Giant be taking advantage soon with its far-reaching agreement signed back in September of 2015 with Herohelix and Chris Moujaes for film and television animation representation? A: Yes we have several projects we are developing for this. More as it develops. Q: Are any sizable partnerships on the table for the future? A: Without speculating on the future, we can state that yes partnerships are in ongoing negotiations on multiple fronts. Q: Is a reverse split officially off the table? A: We are not doing a reverse split now. Again we cannot speculate on what the future holds, but such decisions will be made with regard to the board and with new management involvement in such a way as to best benefit shareholders and the company. Q: What does the future hold for Zwagbox? A: We will be relaunching it shortly as the issues that plagued it are being addressed. We are bringing on established personnel in the field to supervise and manage as well. It is a major component of our distribution for publishing. Q: Will Zwagbox subscriptions that did not request refund pick up where they left off? A: Everyone will be given the opportunity to continue or get a refund. We have an outreach program we are planning to handle retention, reacquisition as well as new customer development. Q: What are your plans if any to reduce the share structure in a way that doesn’t hurt shareholders? A: We of course cannot speculate on what the future holds. A large portion of this depends on the market itself and the board, along with new management, will react accordingly. Remember that we are shareholders as well. Q: What does the future hold for Powfolio? A: In addition to adding many new publishers in the future, there are amazing plans for Powfolio development as well. There are plans for expansion that are incredibly innovative. 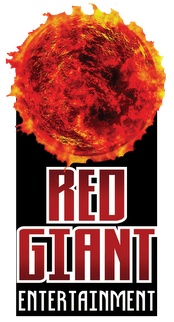 Q: Will Red Giant be attending this years 2017 ComicCon and will they be in the Keenspot Booth as usual? A: For financial reasons we will not be at the Keenspot booth. We have been offered our second booth location from last year, and are weighing whether to attend. For all of our other conventions, they are at little-to-no-cost for us to participate. SDCC has traditionally been very expensive. No final commitment has been made. The winners for the ZWAG BOX however will still be honored. Q: Is the Giant-Size Line officially a thing of the past and gone for good now? A: No good ideas ever fully die, and we still feel it is a good idea. It is still something we may wish to pursue with proper monetization and support if agreed upon by new management. Q: Is there still a Toys-R-Us affiliation? A: We are very much still on good terms with them and if we can come up with a way to work together that makes sense for both companies the door remains open. There have been discussions but we cannot comment beyond that. Q: Do investors have anything to look forward to for 2017 that can be disclosed at this time? A: The launch of Absolute Comics Group will be one we can definitely disclose at this time with more developments to come. Q: Will there be any more financing through notes going forward? A: Again, while we cannot speculate on the future, there are currently no plans. We have not taken out new notes since 2015, and have made every attempt to stay away from them to date. Q: Has Red Giant Entertainment officially now been converted from a Nevada to a Florida entity? Q: How do you plan on restoring the greatly diminished faith that’s been lost with Red Giant’s investors and fans? A: We can only accomplish this through actions. Q: What is the likelihood of actually using Hemp Paper in future printing for Red Giant and when could it actually begin? A: We feel very strongly about this and think that there may be a small-scale method of rolling this initiative out in the short-term. Long term, this really should be a major solution for us and the industry as a whole. Q: Why do you guys mention the legal issues with regard to hemp? Industrial hemp is legal. A: This is a far more complex issue than that. Industrial hemp is legal in some states, however, many of these states still have specific bans on hemp paper. Further, interstate commerce laws can further cloud the issue as products might not be legal in crossing borders. Distribution is further an issue, as our distribution is not just national, but international. Lastly, there is some question as to the Federal involvement should profits be made and deposited into a bank. All of these issues and many others are being explored with expert legal counsel in these areas. While we are eager to lead the charge in this area, we want to do so carefully, without risking the company or exposing us, our creators, our investors or our distribution partners to liabilities or prosecution. Q: Can you assure us that you will keep your promises on everything that you say to investors and fans going forward? A: We have never attempted to deceive or mislead. While we can certainly own up to having made mistakes in the past, it was never with malice that what we said we wanted to do failed to materialize. Many events beyond our control contrived to work against our best intentions. We hope we have learned from this, and that is why we took the time to re-evaluate, build up new strategies and infrastructure, and move forward carefully and cautiously. Q: How many more conventions do you plan to attend for the remainder of 2017? A: We are evaluation this now. This will depend on location, size of the convention, minimizing costs and maximizing potential for marketing, promotion and impact. Q: Is your attorney, Russell Weigel, still on board? What about Campiti, Crosby, Robbins, Fischbach, Schoof, and Powell? A: Yes. All board members are still involved as we stated in the previous QA. The only departures have been our separation from our previous auditors as we disclosed. Q: Is it safe to say you will be communicating more moving forward? A: Absolutely. That is why we created the corporate blog. Expect to hear from us consistently moving forward. Q: Is David Campiti leading the Absolute Comics Group alone? A: Yes he is leading a large sector of Absolute, but he is not alone. Benny Powell will have an editorial role for the “core” group, currently planned as part of Absolute Comics Group. There will be some overlap, but there are three distinct sectors. These initiatives, however, will be under the supervision of new management for their development moving forward. Q: You assembled some great writers in the past, will you still have access to them? A: Yes. We have a lot of work already in the can by these amazing talents, and with both time and budgets permitting we want to continue working with them and many others. It is our goal for Absolute Comics Group to become a creative haven and powerhouse in the entertainment community. Q: When are we going to see financials? A: As stated previously, we are working on this right now with our new auditor and are anxious to become current as well. Q: When will we see profits? A: Again, we cannot speculate on the future. We can state that we are returning to our core product that was profitable before to build a solid cornerstone with which to expand. Obviously being profitable is our goal. Look for more in the days and weeks ahead as we will continue keeping you informed as we move forward.